For years CILS has prioritized the preservation and enhancement of the California Indian land base in California. Part of this work correlates with assisting individuals that have an Indian allotment or an interest in an allotment to understand their rights better and sometimes their responsibilities to future generations. CILS has conducted numerous presentations over the years regarding Native landowners’ rights under the American Indian Probate Reform Act (AIPRA) and the importance of careful estate planning for Indian trust assets. The AIPRA, enacted in 2004, provides for a national uniform inheritance scheme in situations where there is no valid Indian Will. The inheritance scheme is one that not every Indian trust holder may wish to have applied when determining who will inherit their trust assets. Unless an individual leaves a valid Indian Will, AIPRA’s scheme may control their trust property’s future. CILS presentations and Indian Will drafting help individuals make informed decisions. Typically, individuals have specific questions and concerns that they may not wish to voice to family members or friends but that CILS staff can address. All CILS offices provide Indian Will drafting for those holding Indian trust assets. CILS Indian Will services are no-cost to those who qualify for our free legal services. For those who are over-income, CILS provides Indian Will drafting at an hourly rate – typically to cover the cost. While CILS does not generally take on work for individuals who are over-income, our Indian Wills practice is an exception. 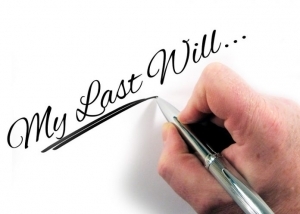 Most California private estate planning attorneys do not draft Indian Wills; their focus is upon those assets coming strictly under California state inheritance laws. Many of these private attorneys shy away from drafting Indian Wills, in part because of the perceived complexities involving Indian trust assets including Federal regulations, tribal codes, the AIPRA and the myriad of administrative agencies within the Department of the Interior. For CILS, however, this services is part of our common practice – and is much-needed throughout Indian Country. CILS is available for Indian Wills/Indian estate planning presentations and Indian Will clinics. Tribes can contact their local CILS office to arrange this service. Individuals holding Indian trust assets, such as allotment or heirship interests or Individual Indian Money (IIM) accounts, can also contact their local CILS office and speak with a representative about their eligibility for Indian Will drafting services.